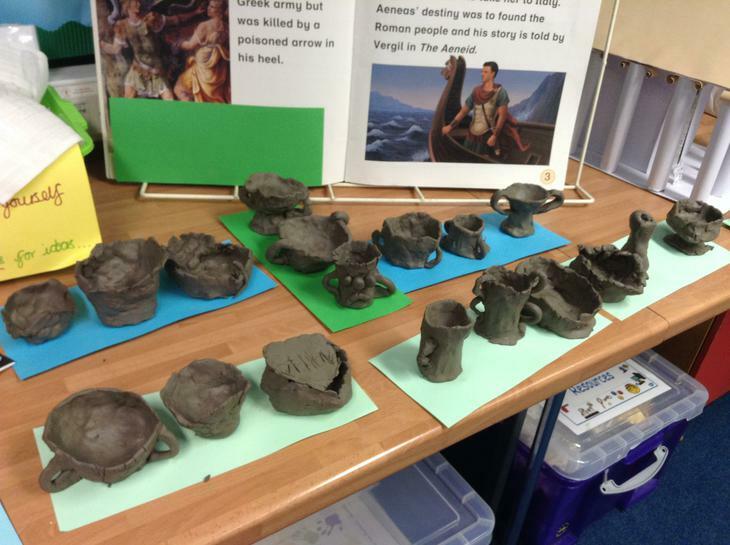 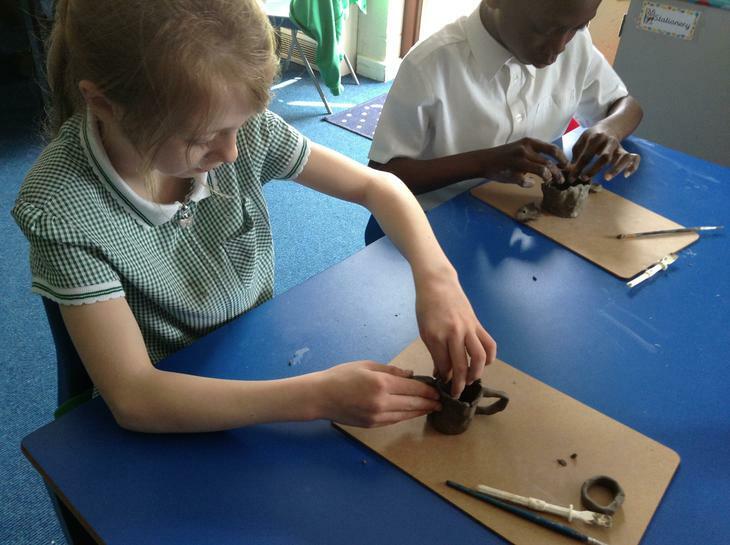 Year 5 have studied and analysed Greek vases pots and dishes and what they can tell us about the lives of the Ancient Greeks. 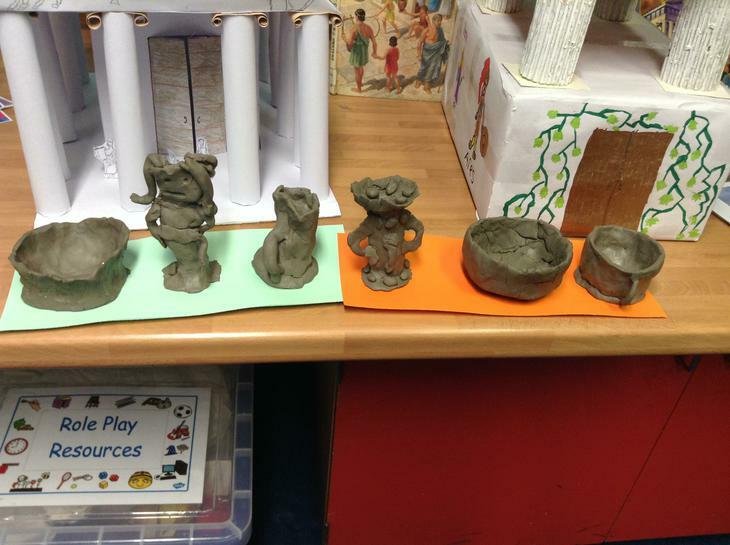 We considered their many uses and the different sizes and styles. 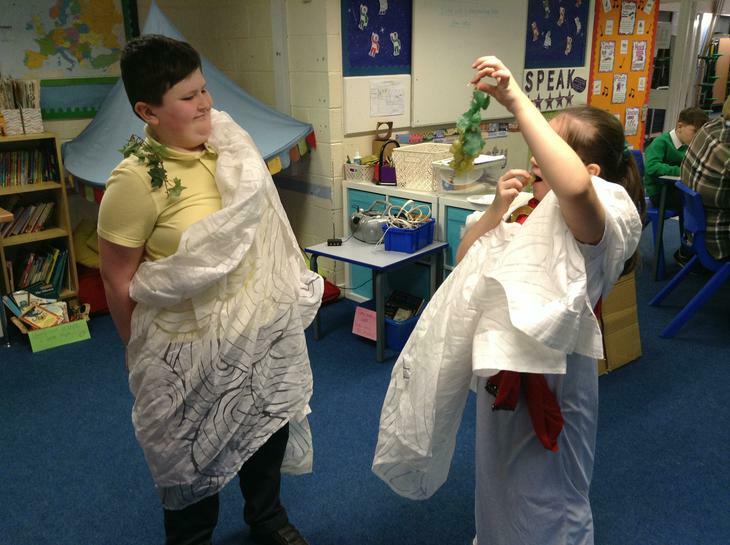 We also discussed the use of patterns and images and how greek pottery often depicted famous Greek characters, Gods & Goddesses but mainly sporting events from the Olympics. 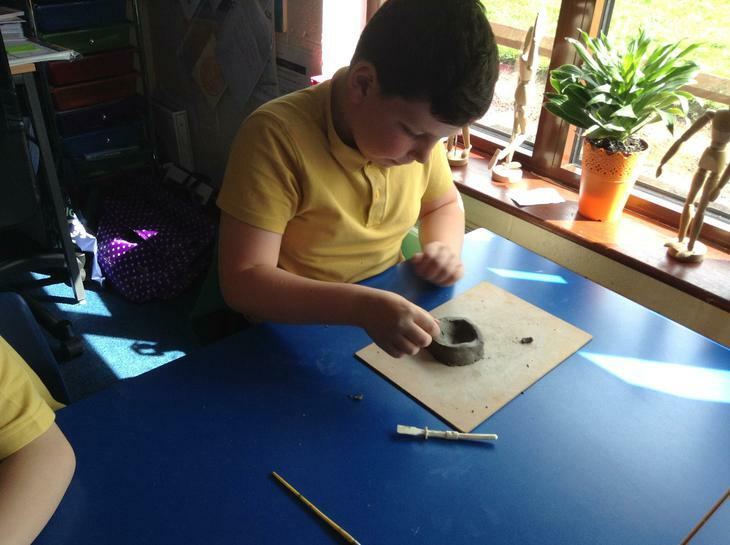 We learned so much from such simple, everyday objects - what an important legacy they are! 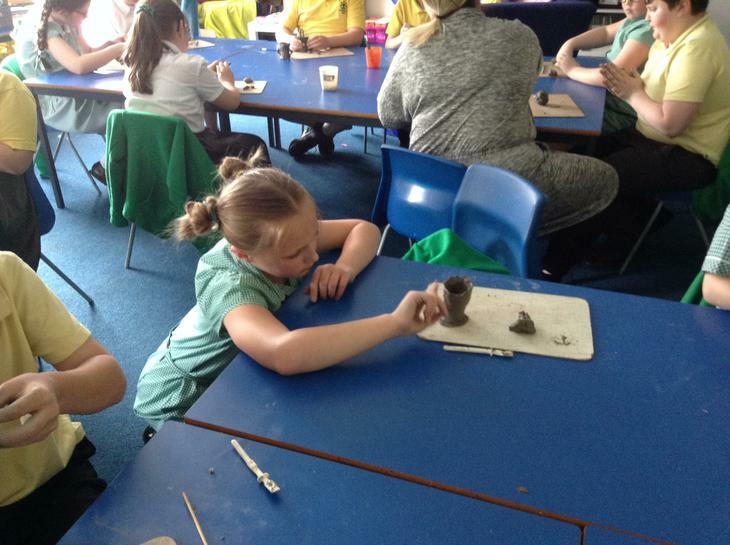 We practiced drawing Greek patterns and designed an image for a Greek vase or pot. 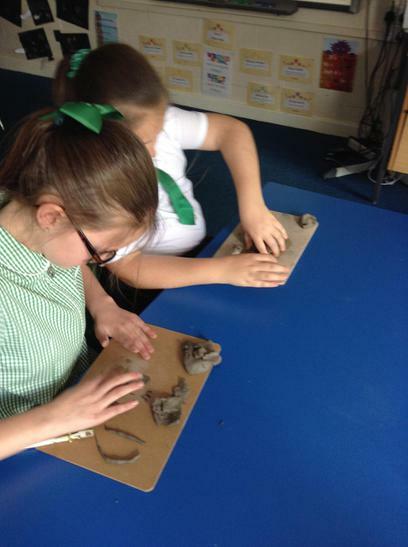 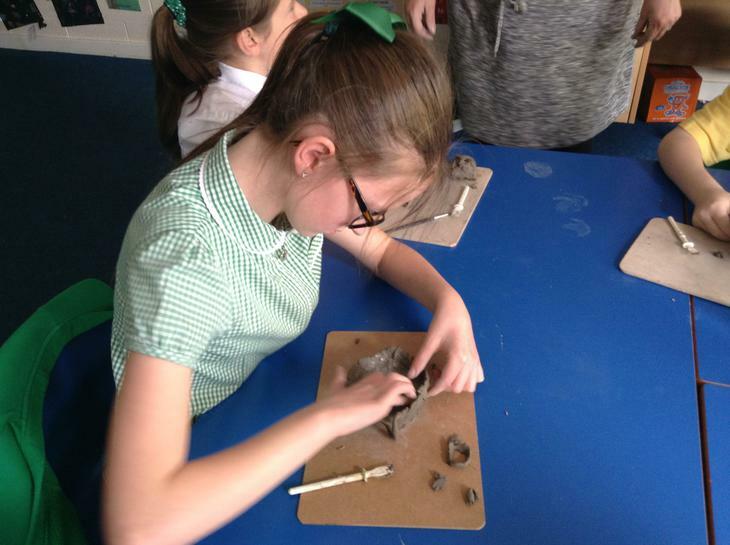 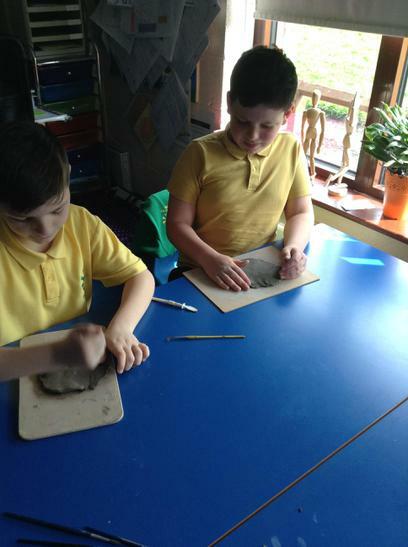 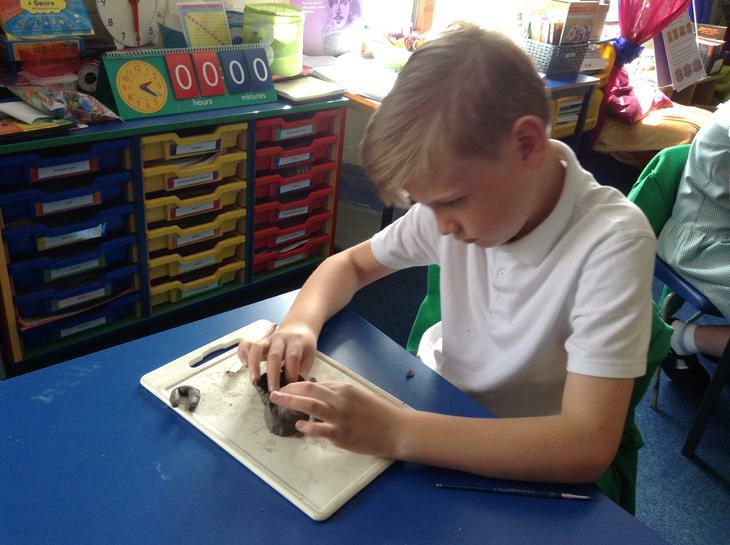 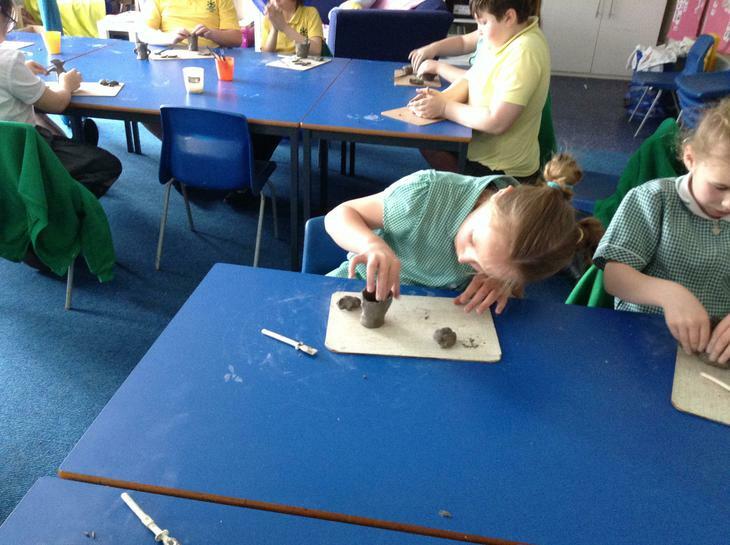 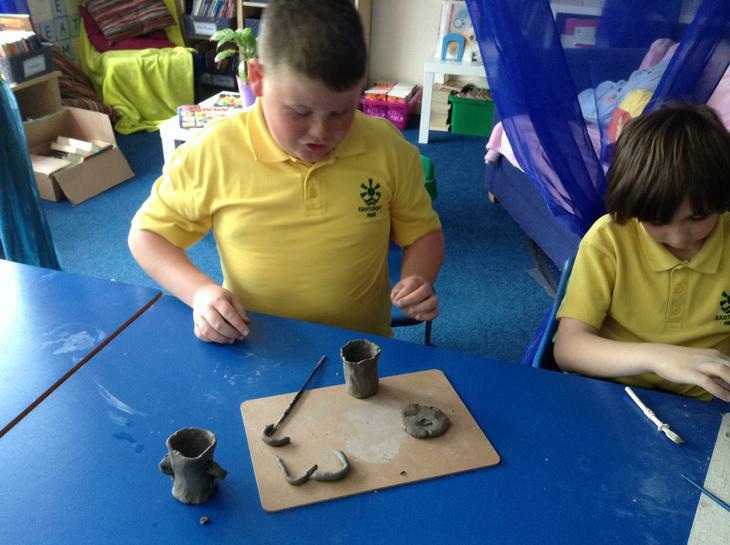 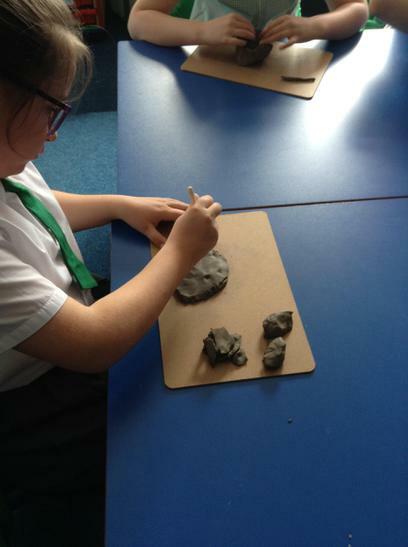 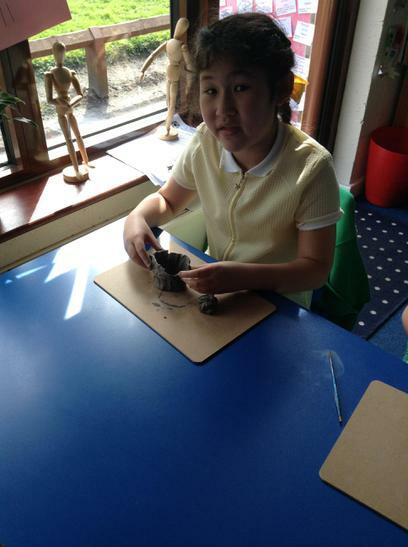 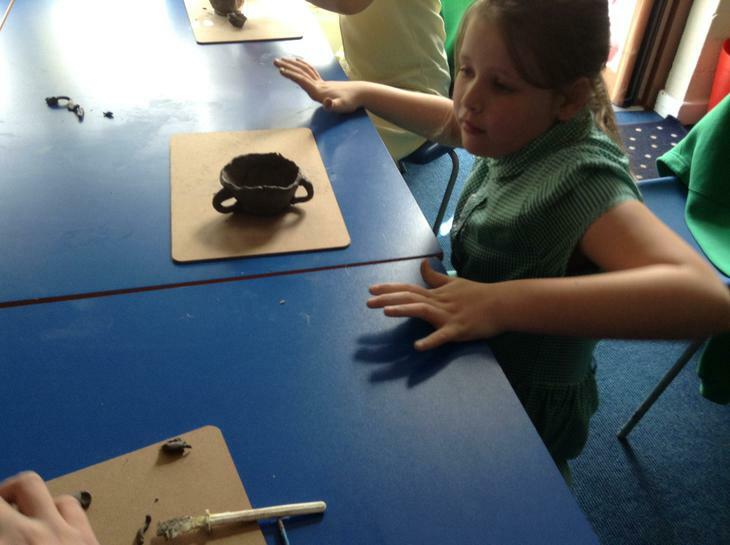 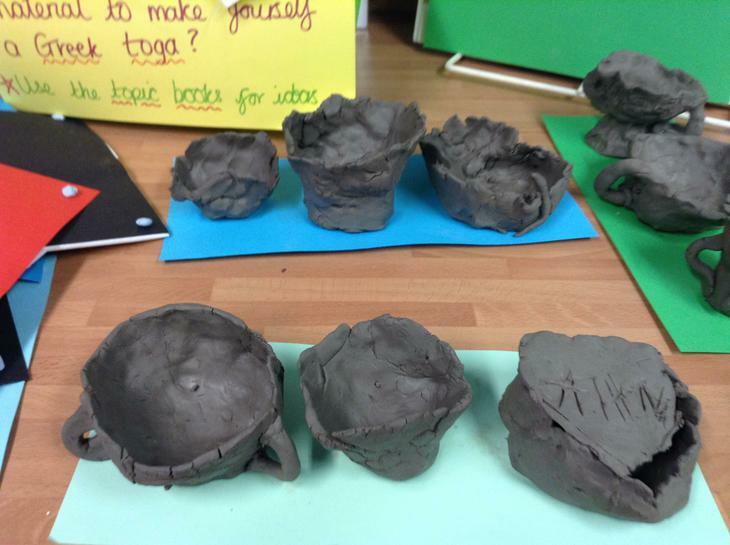 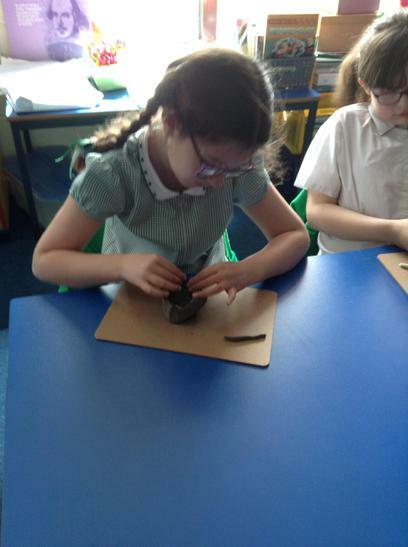 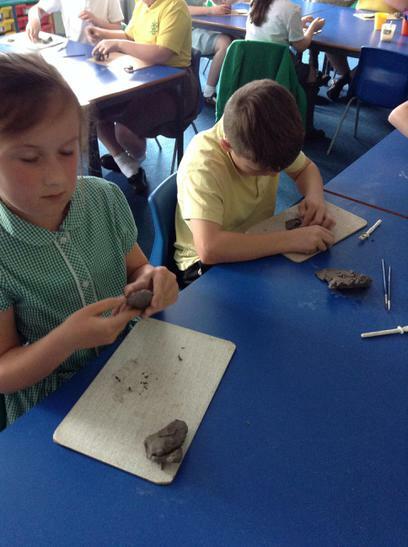 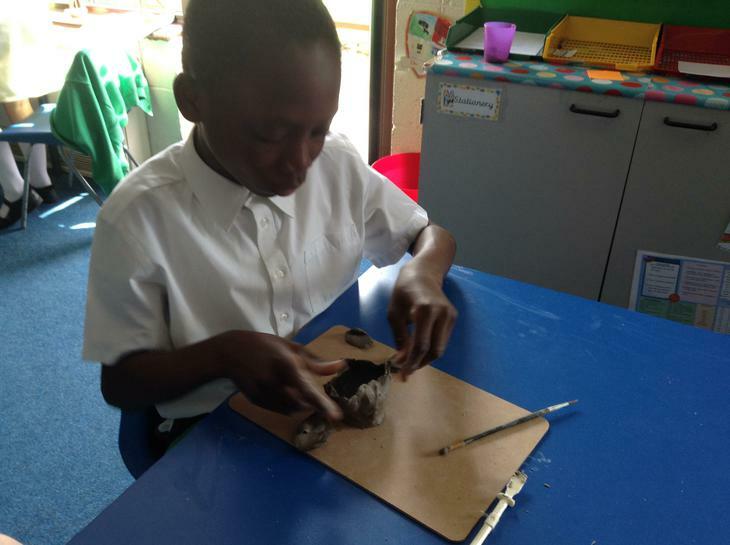 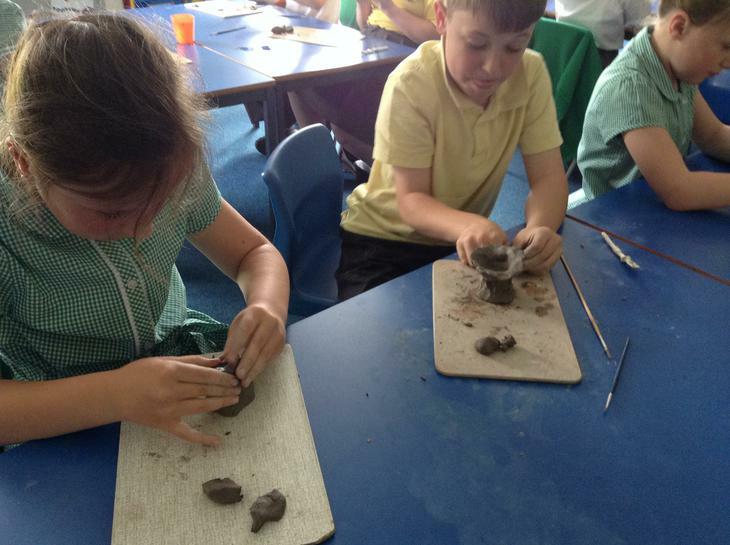 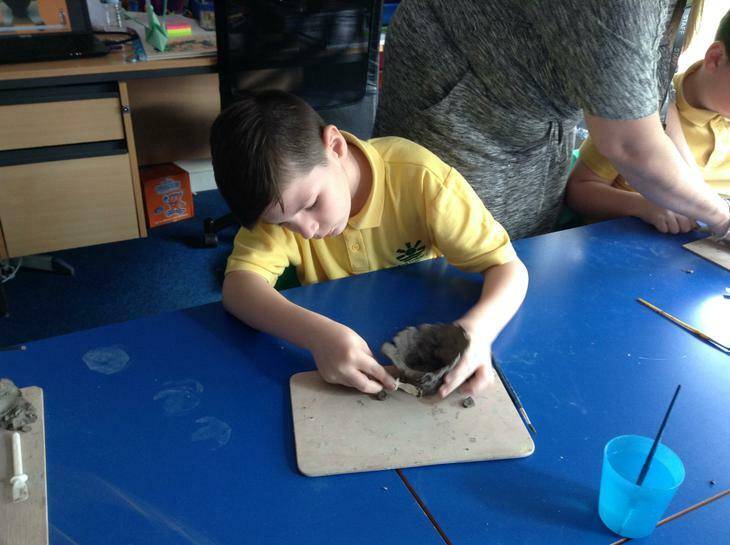 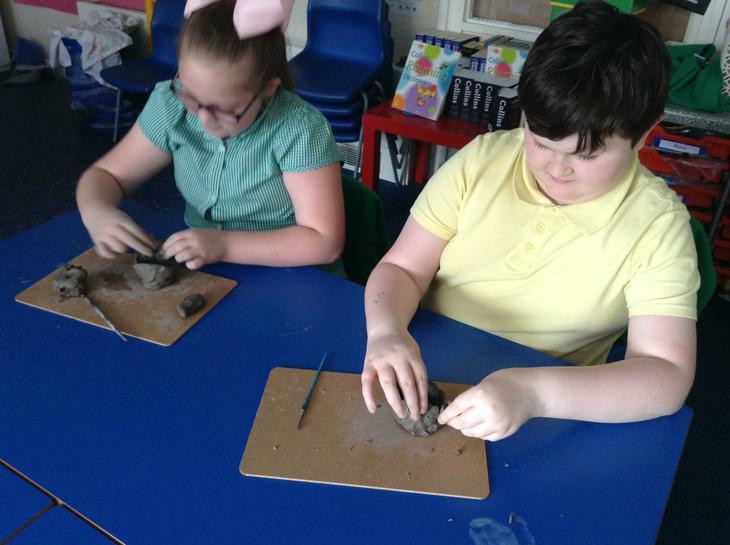 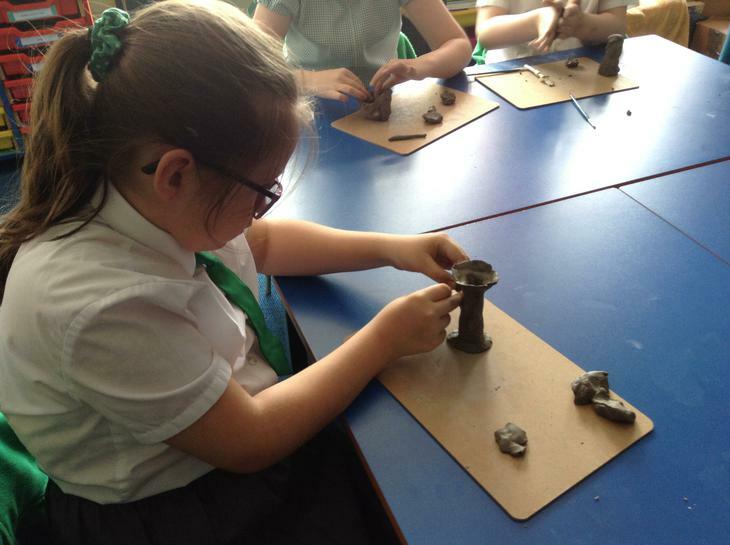 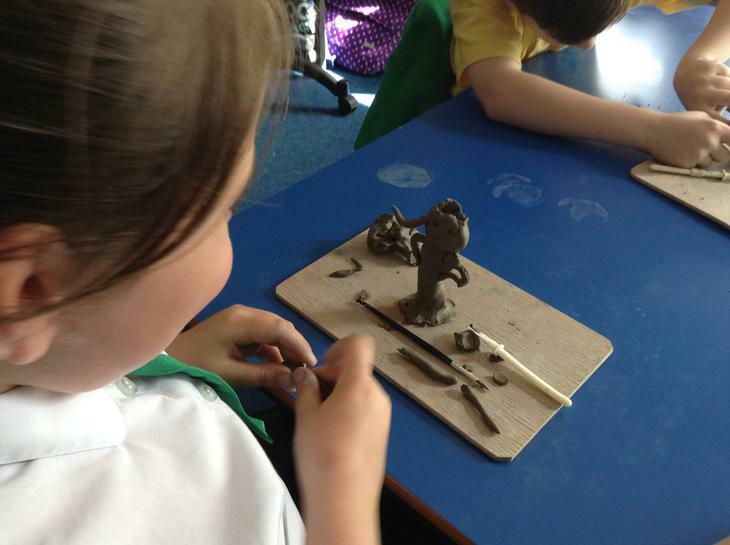 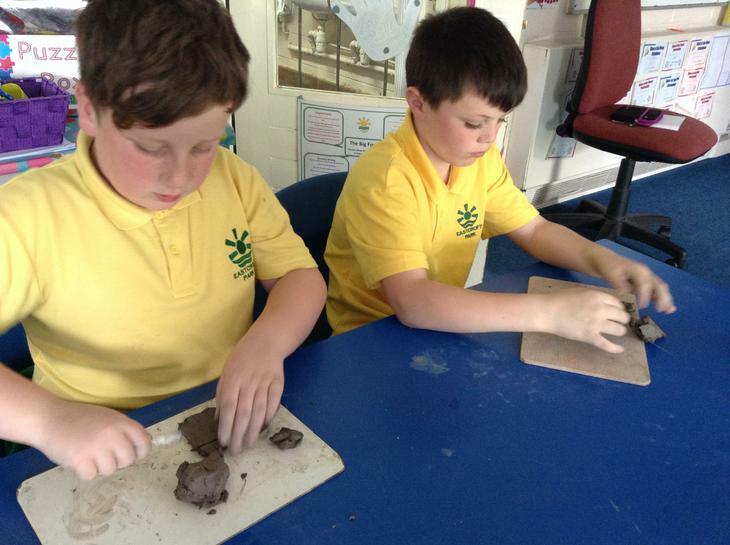 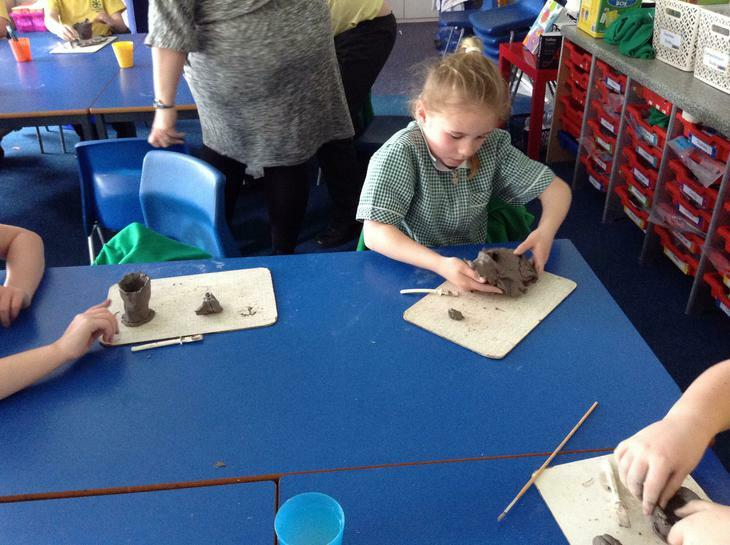 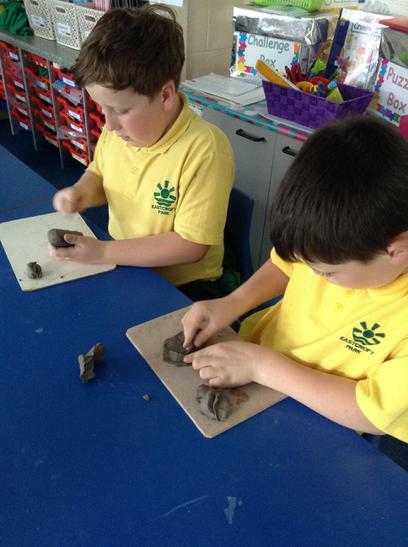 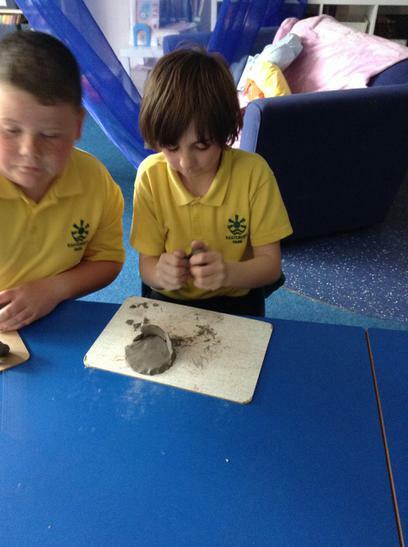 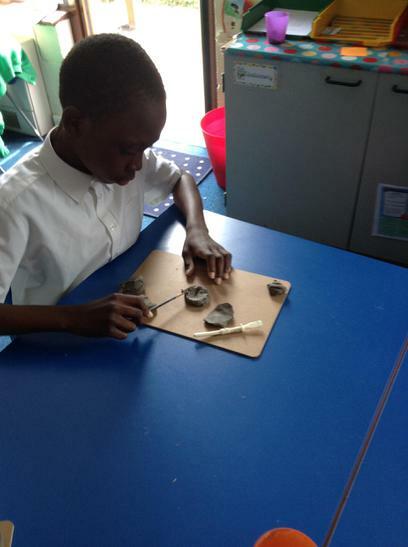 We then used quick-drying clay to knead, mould and sculpt our own Greek vase or pot. 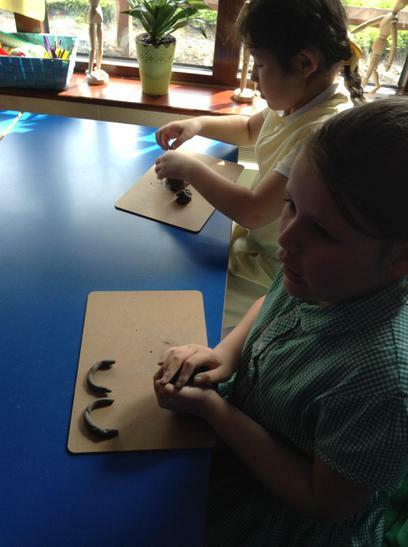 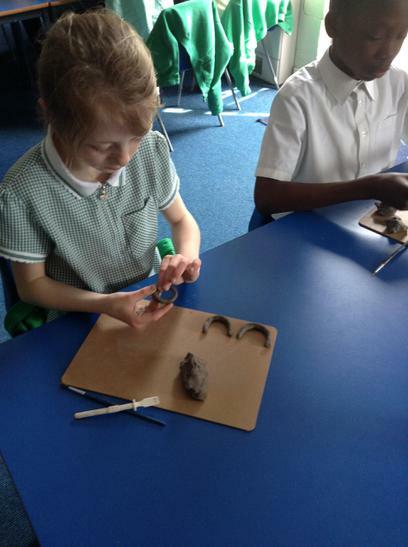 We used our fingers and sculpting tools to help us smooth and carve the patterns and images we'd designed. 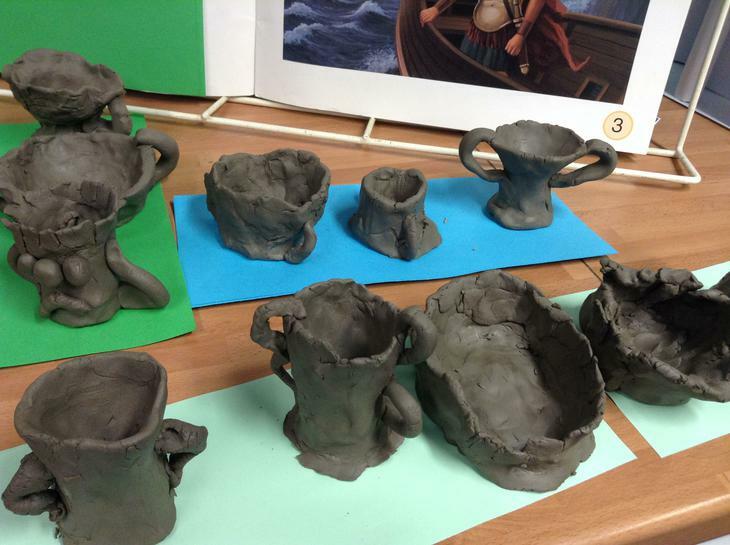 They turned out really groovy! 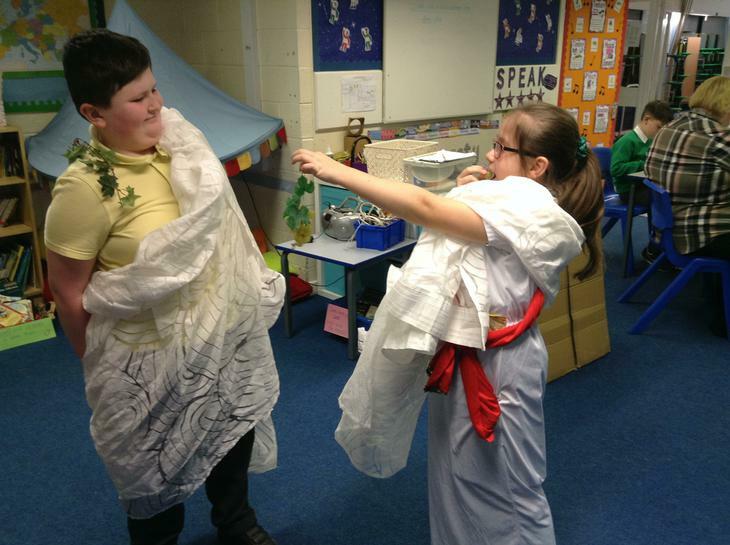 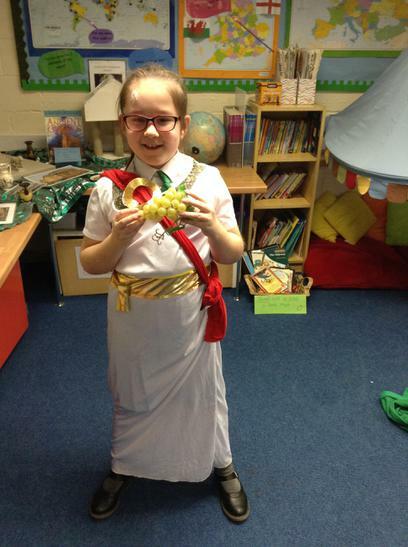 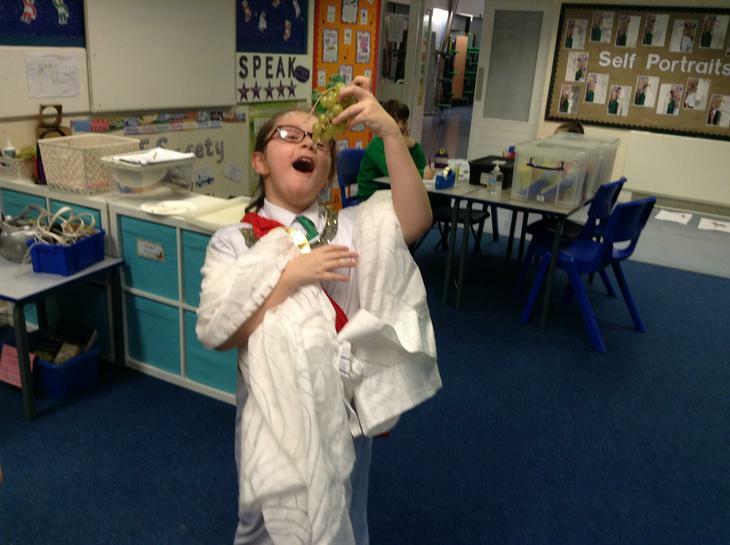 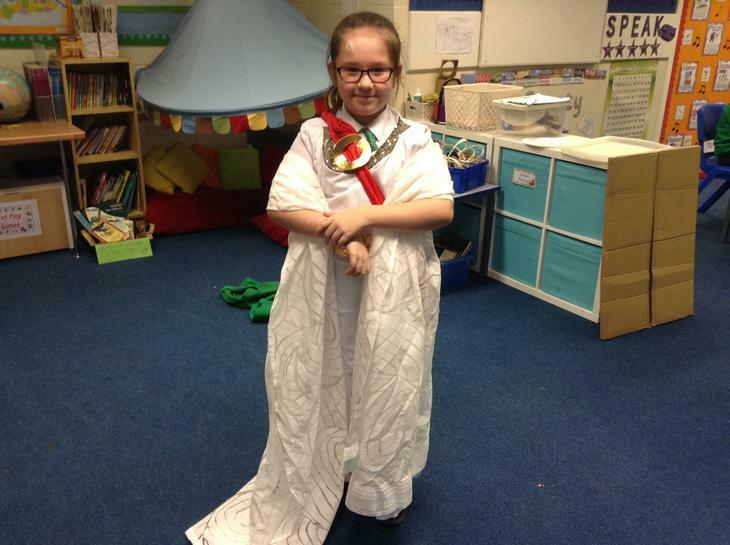 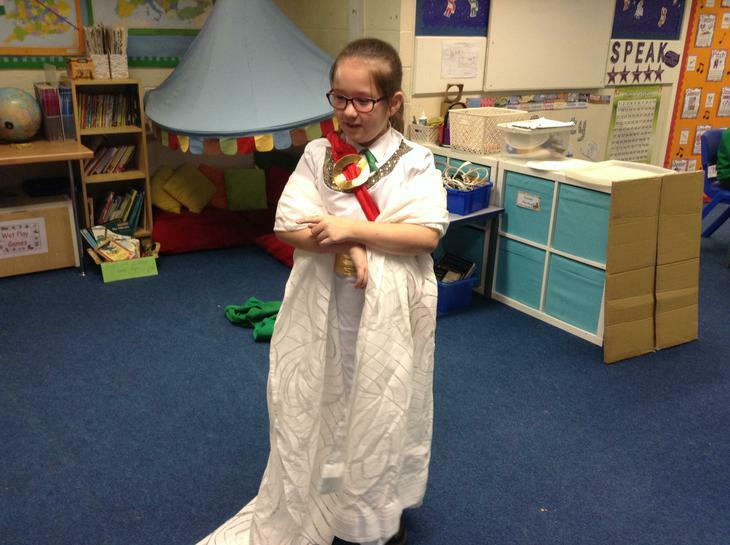 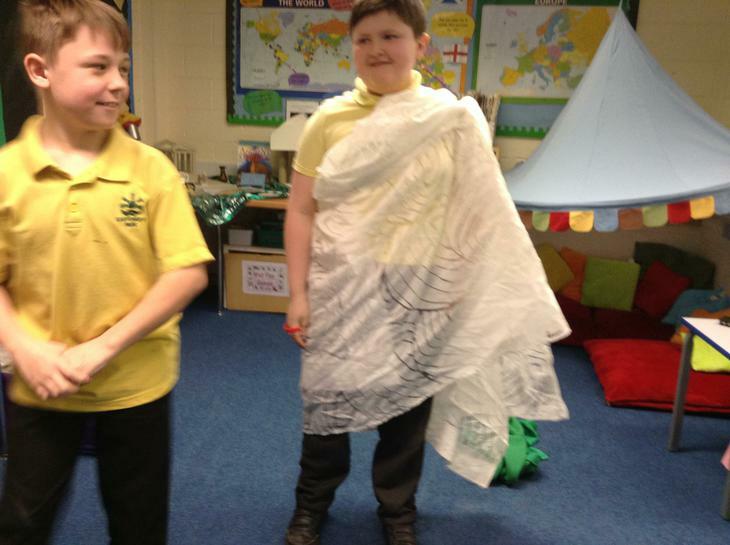 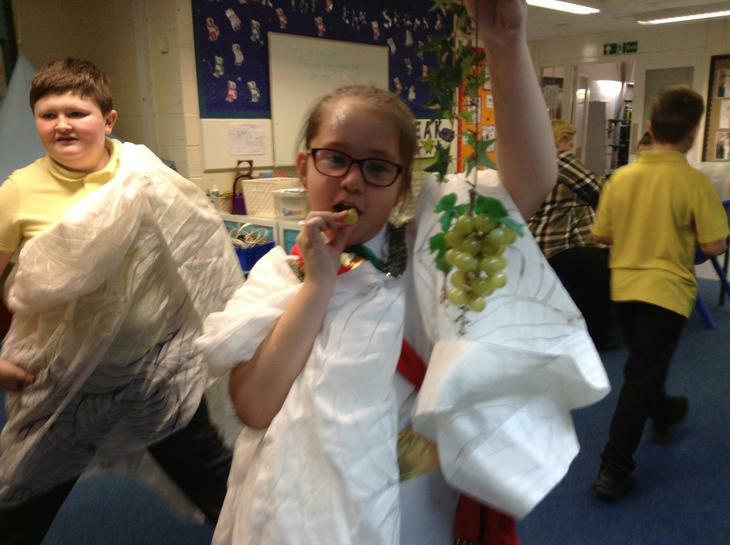 We are really enjoying dressing up as Ancient Greeks in our role play area - we're learning how to use material to assemble and wear different Toga designs. 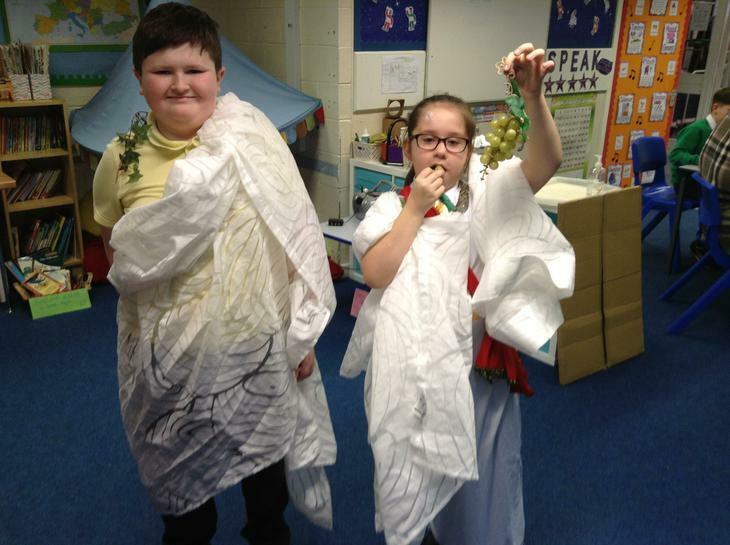 Our friends from the CLC came to visit Y5 and spent the day working with us - they showed us different apps we could use to enhance our learning about the Ancient Greeks.